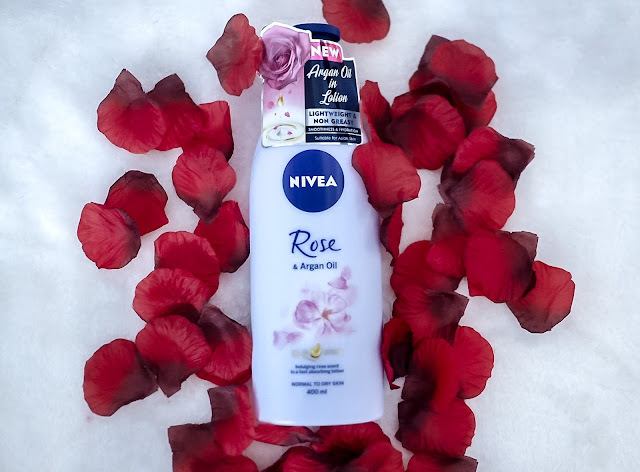 Having worked with NIVEA for the past few years and also being once their NIVEA girl, I’ve got to try countless of NIVEA’s products and I love their micellar cleansing range and body care range! The body care range is so moisturizing and works well on my skin. 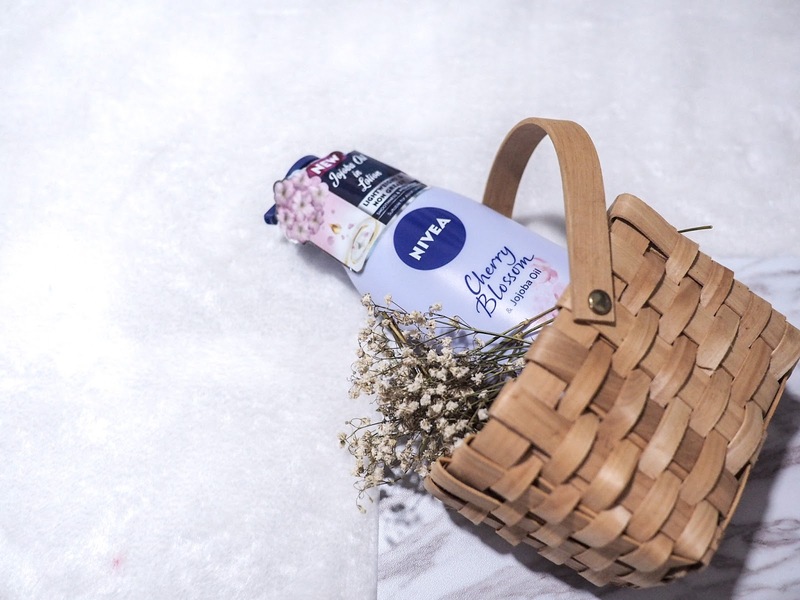 Recently, NIVEA launched their latest body care product – the NIVEA Oil-in-Body Lotion, which is also their 1st oil-infused body lotion! I was very excited upon finding out this was the product they are launching during their private launch event a month back. I’ve been loving how deeply nourishing body oils are on my extremely dry and sensitive skin, but sometimes found them too oily and made cleaning up a mess afterwards. 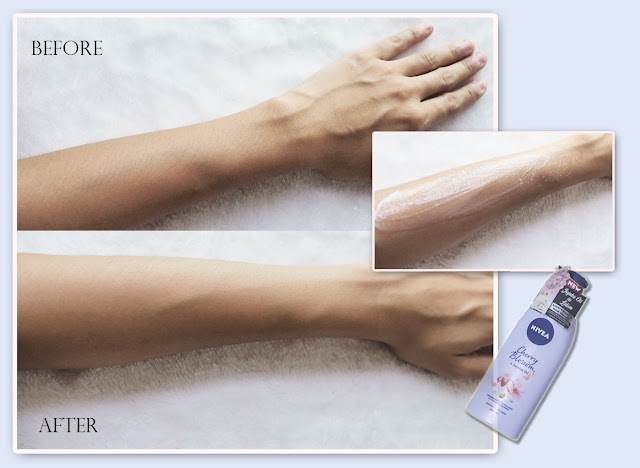 So it was definitely a dream come true when this Oil-in-Body Lotion was launched because it wasn’t only lightweight, not sticky after application, it smells (subtly) great and is deeply moisturizing!!! How can that be right??? 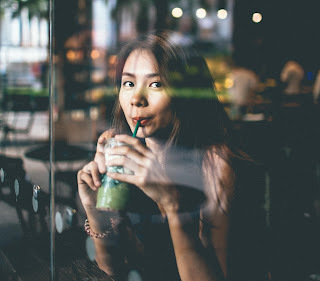 Personally, I have a skin type that is dry and sensitive so I’m usually into getting deeply nourishing products on my skin, without super strong fragrance or scents in it. But as you know, it is so tough finding one that does exactly as what I described and isn’t overpriced at the same time! (And this is also why I usually just neglect and skip the entire step of body care and focus on the skin, which is a really bad habit ;p) The NIVEA Oil-in-Body Lotion has proved to be a great option so far after a few weeks, and I’ve also noticed the eczema on my legs are no longer as flaky and flares up less frequently now! Being highly absorbent, there is no need to worry about the products being sticky, or leaving a layer of “residue” on your skin like most oil based body creams or very heavy moisturizers do. My skin felt so velvety smooth and nicely hydrated that I didn’t mind applying it right before I headed out for the day – something I feared doing in the past due to how sticky I’d feel, haha! 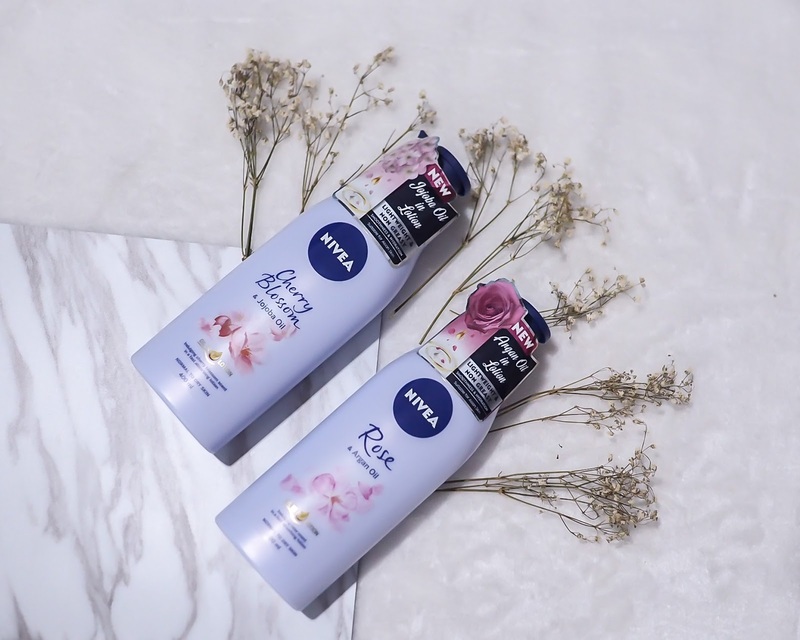 If you’re just like me, often skipping the step of applying body lotion on your body even with already dry skin because you’re afraid of spending money and committing to an unsuitable product, NIVEA is actually conducting a giveaway to a lucky winner to try out the product. All you have to do is to simply leave a review on the following link HERE. I hope you will grow to like this product as much as I do! Note: This post is done in collaboration with NIVEA Singapore, all opinions are my own.